This site was conceived, like all the best ideas, in a pub. It is a child of the fevered brains of Steve Edwards and Howard Parker, two GWR afficianados , living as neighbours in Bristol within a whistle blast of Temple Meads and in houses that overlook the SS Great Britain, Brunel’s nautical masterpiece. To have a lot of fun with our obsession and meet similarly afflicted folk. Despite being forced to earn a living in the software trade, Steve thinks he has chocolate and cream blood. 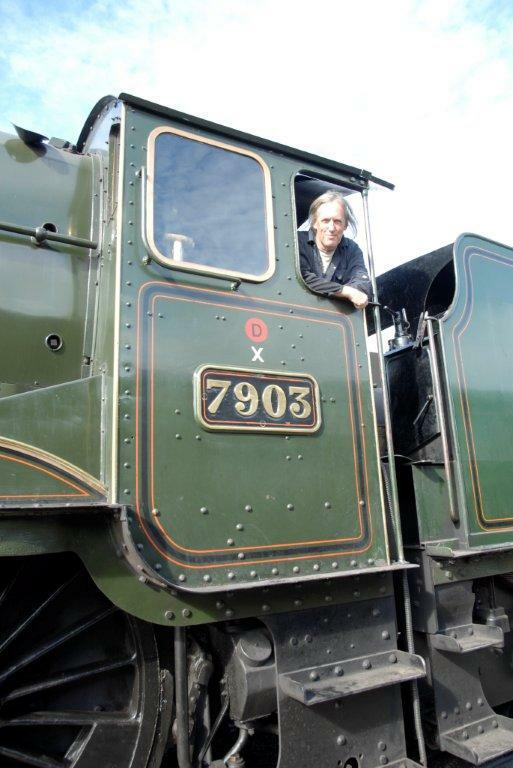 His grand dad started with the GWR as a 14 year old at Torquay in 1909, learnt his trade at Aberdare, and retired as a top link driver at 81A Old Oak Common in 1960. His favourite engine was 4079 Pendennis Castle. Steve’s great uncle, father (briefly) and cousin all worked for the GWR. Howard can only aspire to such a heritage, but his mum used to take him as a toddler to see the daily chocolate train emerge from the Fry’s factory at Keynsham. He thinks one of the 57xx that pulled it was 9797 but he was a bit small and it was a long time ago. He also remembers standing on the bridge at Saltford as 6000 King George V flew by underneath with its bell clanging. You don’t escape from this stuff unscathed. Nowadays he can be found at Toddington on the GWSR most Wednesdays and occaisionally on the footplate of the GWR’s wonderful collection of engines. So, this website gives both of them the justification, if any was needed, to go around looking at anything and everything they can find about the GWR without thinking they should be at work somewhere else less interesting. Please join us and keep the memories alive and steaming!